Ultraviolet Indoor Air Purification: Why You Need It Now! All across North America, rogue storms have caused costly repairs to homes and businesses. In the last year alone, wildfires, windstorms, hurricanes, tornadoes and nor’easters have ravaged the continent from one end to the other. Ontario experienced an estimated $380 million dollars of wind storm damage this past May, and costs of earlier wind and storm damage pushed the total toward three-quarters of a million dollars. These storms are destructive enough when they are occurring, but they also leave behind a lasting legacy of damage due to mould, mildew and environmental toxins that can impact human health for decades to come. Here at Clean Air Solutions Hamilton, we haven’t been at all surprised to see the demand for our services and products increasing in the wake of these types of weather disasters. In this post, we highlight the many benefits of one of the most protective indoor air quality products we offer: the ultraviolet air purification system. But what does purification mean in the context of improved indoor air quality? Purification is the process of removing toxins from the air you breathe. These toxins can come from many different sources. Some come from the environment itself while others come from man-made products and structures. Examples of toxins include mould, mildew, dust, dirt, volatile organic compounds, tobacco smoke, carbon emissions, pet dander, bacteria, fungi, viral matter, microorganisms, parasites, germs and other undesirable airborne matter. The sun produces three different bands of ultraviolet light. The two bands we hear the most about are Ultraviolet A and Ultraviolet B, because both of these light bands can penetrate the ozone layer that surrounds our planet. But the third and most powerful light band, Ultraviolet C, is blocked by the ozone layer, which is to our benefit! This is the light band that is used in ultraviolet air purification devices because it is the most effective at neutralizing airborne toxins. How Does Ultraviolet Light Purify Your Indoor Air? In 1903, a scientist and physician named Niels Ryberg Finsen won the Nobel Prize in Physiology/Medicine. His big accomplishment was figuring out how to use ultraviolet light to treat dangerous diseases like lupus and tuberculosis. Finsen discovered that concentrated ultraviolet light can damage cells, including cells that cause serious diseases. His discovery gave so many people their lives back! Since Finsen’s award announcement, ultraviolet light technology has been developed for many other uses, including the purification of indoor air. There are two different types of ultraviolet air purifiers we recommend for use in homes and businesses today: coil sterilization and air purification. The ultraviolet coil sterilization system works directly on the air handler coil, neutralizing bacteria, mold, germs and toxins before they ever enter the air supply. The air purification system works to sterilize air of airborne toxins. 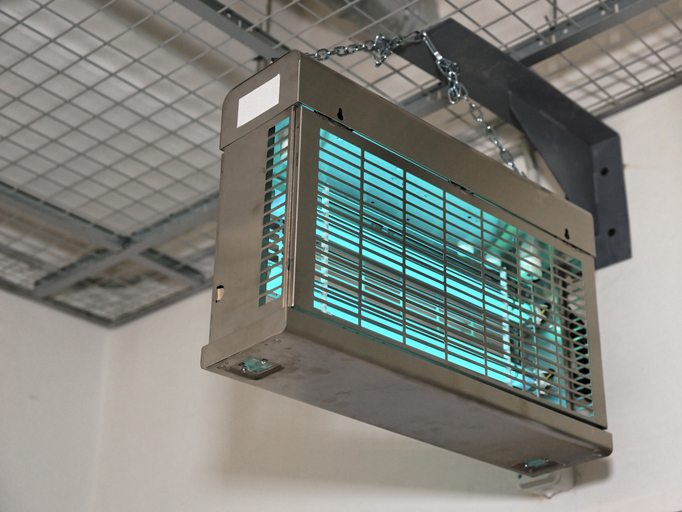 This type of system can be used with a central ducted HVAC system or as a stand-alone unit in a single room. In 2001, the U.S. National Institutes of Health (NIH) reported that ultraviolet air purification units were used successfully to kill fungi that had colonized the air handling units of an office building. In 2002, a U.S. Department of Energy-funded study showed that ultraviolet light air purification units were able to largely eradicate a variety of airborne toxins when installed inside an air vent system. In 2012, Science Daily published the test results of a ground-breaking hospital study. Researchers used ultraviolet light to kill antibiotic-resistant bacteria present in more than 50 patient rooms. And as of 2018, South Korean researchers are working to develop the next generation of ultraviolet light air purification technology, which has shown the strongest performance to date in fully eradicating airborne infectious matter even in quarantine situations. Closer to home, many of our air quality residential and commercial clients say they can actually smell the difference in the quality of their indoor air after having air purification systems installed! What Type of Air Purification System Do You Need? This is the million-dollar question, and it is thankfully an easy one to answer! The system that is right for you depends on the type of air handling system you currently have. Multi-room homes and workplaces that use a central HVAC system with ductwork can benefit from our central ultraviolet air purifiers and HVAC coil sterilization purifiers. The largest of these systems can purify the air in a home or workplace space of up to 4,000 square feet. If you have a non-ducted single-room or zoned HVAC or heat pump system, then we recommend the portable air purification appliances. The largest of these can purify the air in a single room of up to 900 square feet effectively. What Kind of Maintenance Do UV Air Purifiers Require? This is a great question! We have very good news for you here: Ultraviolet air purification technology today is quite close to being self-maintaining. The units we sell are self-cleaning and self-maintaining. About the only maintenance task you will need to do is change out the ultraviolet bulb, and this typically happens only about once every 36 months. Here at Clean Air Solutions Hamilton, we are passionate about helping our residential and commercial clients achieve consistently clean, pure indoor air quality for better health, productivity and quality of life. Contact us online or give us a call at 905-544-2470 to schedule your free indoor air quality consultation, learn more about ultraviolet indoor air purification technology and enjoy better year-round air quality at home and at work! Allergy Season is Getting Longer: 6 Tips to Help Your Immune System Fight Back! Canada has made global news headlines of late. Thanks to climate change, our allergy season is getting longer…or should we say, even longer, since Canada’s abundance of green life has always caused health challenges for seasonal allergy sufferers. While the length of any given allergy season can increase or decrease based on weather patterns, Weather Network researchers state that over the last 15 years or so, allergy season has increased by a full month annually! Just in case you thought this was the worst air quality news, researchers have also put out a heads-up that allergy symptoms are worsening as the years go by. Here, the culprit is worsening air quality, which pumps more carbon dioxide into the atmosphere and encourages the trees to amp up their pollen output. If you are one of the estimated 25 to 30 percent of Canadians who suffer from seasonal allergies, this news can sound very discouraging. But here at Clean Air Solutions Hamilton, we want you to know there is a lot you can do to fight back and stay healthy no matter what is going on in the air outside. Your Indoor Air Is More Toxic Than the Air Outside! As of 2017, according to the U.S. Environmental Protection Agency, the toxicity of the air inside many homes and workplaces throughout North America is anywhere from 2 to 5 times more toxic than the air just outside these spaces. What does this mean for you, as a seasonal allergy sufferer? In general, it means that there are a lot more toxins floating about in your indoor air supply than you would expect. Of course, pollen is one of the many potent toxins that can find its way inside your home and office with relative ease. It comes in on your hair, skin, clothing and shoes and then becomes part of the airborne molecules that are continually circulated throughout your space. But there are many other aggressive irritants already present in your indoor air that can increase the symptoms of breathing in seasonal pollen. Volatile organic compounds (VOCs) are some of the most concerning pollutants and also some of the most difficult to strip out of your indoor air supply. This is because they are present in everything from air fresheners to perfumes, paint to adhesives, furnishings to furniture. According to the University of Georgia’s cooperative (agricultural) extension, up to 40 percent of indoor toxins enter your home or office by hitching a ride on you or your pet. Even worse, up to 85 percent of those toxins release into your indoor air supply during the first four steps you take from outside to inside your door! The remaining 60 percent of your indoor air toxins are generated from within your space. This means that how you enter and exist in your space and how you clean will have a huge impact on the quality of your indoor air. Here are six tips to block both indoor and outdoor toxins from gaining a foothold in your indoor air supply. The very first cleaning task you should do is dust. Everything else you do, from laundry to vacuuming to spray-cleaning surfaces, will pick up any dust that remains. Also, when you start dusting, dust from the top down. So if you have a four-shelf unit to dust, start by dusting the top shelf and then work your way down. This helps you minimize escaping dust, since you can catch it again as it drifts downward. Using a microfiber cloth to dust mini-blinds, shelving, furniture and knick-knacks can contain the amount of dust and debris that is released into the air you breathe while you are dusting. If you have a habit of powering up the vacuum frequently to spot-vacuum high-traffic areas, experts say this can make the dust and pollen count inside your home worse rather than better. Instead, the Weather Network experts recommend doing one thorough vacuuming session once per week. Also vacuum furniture cushions, pads and mattresses to send dust mites packing! Running a washer cycle with 55 degree Celsius (130 degree Fahrenheit) hot water can sanitize your bedding, pillows, stuffed toys, pet toys, curtains and throws to neutralize toxins and pollen. Welcome mats today are often viewed as a home decor accessory. But really, they have a fundamentally practical use—to trap dust and pollen before it can enter your home or office! However, just wiping your feet on the outdoor mat won’t capture more than just the first layer of pollen, dust and other allergens. Wiping your feet on a second mat when you step inside will remove an additional layer of irritants. Leaving your outdoor shoes by that indoor welcome mat will ensure any remaining pollutants do not get a third chance to enter your indoor air supply. Many older air duct systems have never been professionally cleaned. This isn’t so concerning if your air duct system is relatively new. But for older duct systems, this can add up to quite a lot of trapped toxic debris inside the air ducts that is just continuing to pile up. An indoor air duct cleaning restores your air ducts to their original squeaky clean condition in less than one day’s time. Contact us online or give us a call at 905-544-2470 to schedule your indoor air quality consultation! What the Yuck? Find Out What Is Hiding Inside Your Air Ducts! Everyone loves those science shows with titles like “The Secret Lives of….” They take you behind the scenes and show you footage of animals, plants and even bacteria! But all of that seems very far away from your clean, neat and comfortable city abode. Or does it? Have you had a peek inside your air duct system lately? Air ducts can be pretty mysterious places. They can also be pretty scary, especially when they haven’t been cleaned in a decade… or ever. In fact, most air duct systems in homes and businesses across Canada have remained relatively untouched since the day they were initially installed, 10 or 20 or 30-plus years ago. It has been only in the last five years that information about how air duct toxicity can impact human health has even become widely available to the general consumer. In this post, we introduce you to some of the most potent toxins that could be hiding inside your air ducts. And we tell you what to do to get rid of them for good! Meet Your Duct Neighbors: You Can’t See Them, But They Can See You! If you were a small insect or animal looking for a safe place to hide from predators or the elements, where would you go first? As you were crawling along the gutters or across the roof shingles or up the side of a structure, you might suddenly see a crack or crevice and crawl inside it. Then, lo and behold, you might find yourself inside a DUCT! This duct would probably seem a lot like Shangri-la to you—a warm, moist, dark and lovely spot where you could rest, sleep, even breed and raise your young in relative safety! But insects and small rodents are just a few of the visitors that tend to make themselves at home inside existing ductwork systems. There are other toxins that are far more potent that may also be making themselves at home inside your ducts! In the several years since Shipton’s Heating and Cooling launched its sister business, Clean Air Solutions Hamilton, we have completed hundreds of professional air duct cleaning service jobs. Some of the things we have found lurking inside the air duct systems of homes and businesses are really harmless yet quite mind-boggling (science fiction novels, jewelry, action figures?). But mostly, what we find is actually potentially very harmful to the health of our clients and their visitors, such as the toxins in the list above here. When we find these types of duct visitors, we always recommend proceeding with an air duct cleaning service! There is no doubt a professional air duct cleaning service is an intangible investment at first. In other words, it isn’t the type of thing you can show off at your next happy hour. No one really wants to watch a video tour of your air ducts before and after cleaning. Yet you will be able to feel the impact right away when you breathe. Many clients say their indoor air at home or work actually smells cleaner after the air duct cleaning! The first thing we do when we’re talking with a client about scheduling a professional indoor air duct cleaning is an initial inspection of their duct system. During the inspection, we insert a tiny camera inside the air ducts to see what there is. Our client is always present for this inspection and can see what we’re seeing on the remote camera’s video screen. We don’t always recommend scheduling an air duct cleaning service right then and there, but if we see any of these warning signs, we encourage the client to proceed as soon as possible! 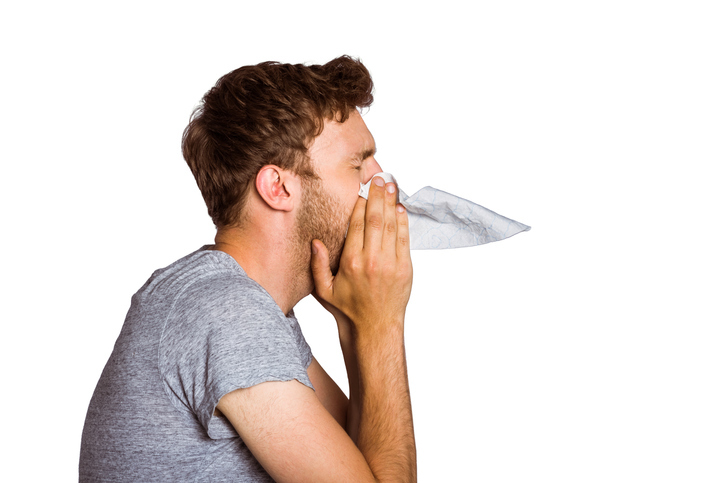 The average indoor air duct cleaning service takes less than one day. For business clients, we often schedule this service on a weekend so as not to disrupt regular business operations. We like to think we make the air duct cleaning process look easy, but actually it is a very sophisticated process that shouldn’t be entrusted to an amateur. Every air vent and register must be thoroughly cleaned. The contents of the ductwork must be sucked out into a vacuum-sealed disposal unit for transport away from your space. We take every precaution to ensure all toxic matter is safely and completely removed from your duct system with no opportunity to escape and re-contaminate your space. When we depart that day, you are left with a clean, sanitized and deodorized air duct system that you can trust with your family’s health. Best of all, once you have your air duct system professionally cleaned, as long as you don’t have any major home renovations on the horizon, you won’t have to think about your cleaning air ducts for another 5 or so years! We are here to answer all of your questions about air duct cleaning, indoor air quality and your family’s health! Contact us online or give us a call at 905-544-2470 to find out more!